Chiropractic can be defined as the philosophy, science and art of adjusting abnormal articulations of the spinal column (vertebral subluxation) for the purpose of giving freedom of action to impingement of the neurological system that may cause deranged function. Chiropractic emphasizes the relationship between structure and function as coordinated by the neurological system and how that relationship affects the preservation and restoration of wellbeing. How long can it take to benefit from chiropractic care? Depending on the state or overall condition of the person receiving chiropractic care, chiropractic adjustments can influence the preservation and restoration of functional wellbeing noticeably right after receiving the chiropractic adjustment. How long can it take to maintain the benefits from chiropractic care? In general, maintaining the improvement in the spinal structure and function from chiropractic adjustments can take weeks to months to years depending upon the state or overall condition of the person receiving chiropractic care. How long can it take to feel the benefits from chiropractic care? Depending on the state or overall condition of the person receiving chiropractic care, chiropractic adjustments can be noticed right after receiving the chiropractic adjustment, but the presence or absence of symptoms is not sole criteria for maintenance of overall function, health and wellbeing. Symptoms may be absent with the opportunity for wellness or overall functional improvement being available through regular chiropractic adjustments. In the world of fast pace, no slow down, and technology at your fingertips, we all look for results now and not later. No time for it tomorrow, we want it today. Too often we want results so quick and lose out on the opportunity that lies within the potential of tomorrow’s benefits. Patience, persistence and passion towards tomorrow’s benefits can be a great strategy as a contribution to investing into yourself. Being patient with experiencing more wellbeing means you take steps every day towards a better you regardless of the immediate return on your investment. Being persistent in your steps towards a better you and not giving up or quitting is required. Challenges and struggles will present themselves. You will feel like you’re not getting as far as you’d like with the amount of time and energy you put into it. Being passionate about achieving an optimal wellbeing means you want more good times than bad. Our body constantly needs good nutrition, good exercise, good rest and good investment into becoming stronger today than yesterday. Life is stressful and the day to day challenges require you to make choices on how to adapt to the stress or compensate. Choosing to be patient, persistent and passionate about becoming stronger with a higher quality of life is a proactive lifestyle that pays dividends later in life that can far outweigh the invested time and resources. Want to get to a higher quality of living? Regular chiropractic care can support you in your journey. Schedule your first visit to consult with a chiropractor to help answer any question you have about the potential benefits that can be found within the chiropractic adjustment. Trent Scheidecker, DC frequently visited his chiropractor when he was in high school and knew the benefits he experienced were worth the time and investment to become a chiropractor. He wanted to help his community experience a higher quality of life through regular chiropractic care. 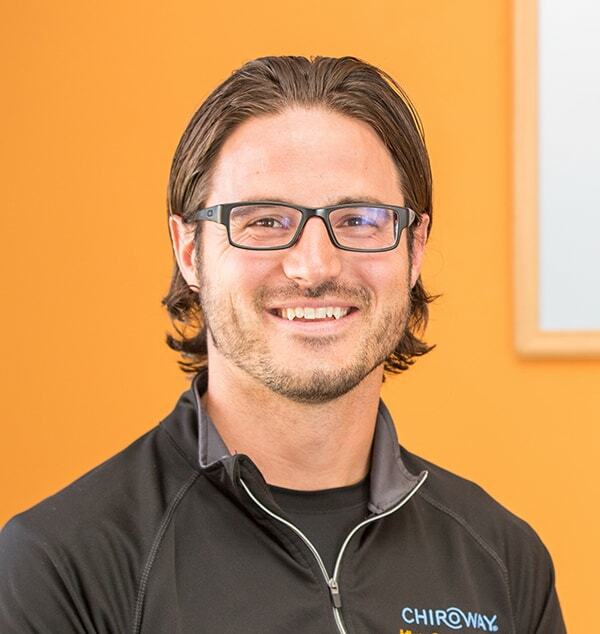 In 2010 Trent founded ChiroWay in Woodbury and since that time has served over 3,000 clients. He has been named “Best of Woodbury” in Woodbury Magazine seven times. Trent has also mentored colleagues in practice and franchised ChiroWay in 2012. Today, there are 8 ChiroWay locations throughout Minnesota.